The Gist Of The Tale: In 1958, seven young outcasts form a powerful bond with one another and face off against an evil entity which has plagued their town for centuries. Twenty - seven years later, the "Losers Club" reunites for a second, final showdown against the thing they call "IT". The Writer Of The Work: Legendary genre author Stephen King worked for over four years on this iconic tome. The level of detail presented, as well as the narrative's clever "Mobius Strip" structure, bear out the obvious effort he put forth. Like much of King's work, it has been adapted to film - in this case twice, as both a television mini series, and more recently as a very successful feature. 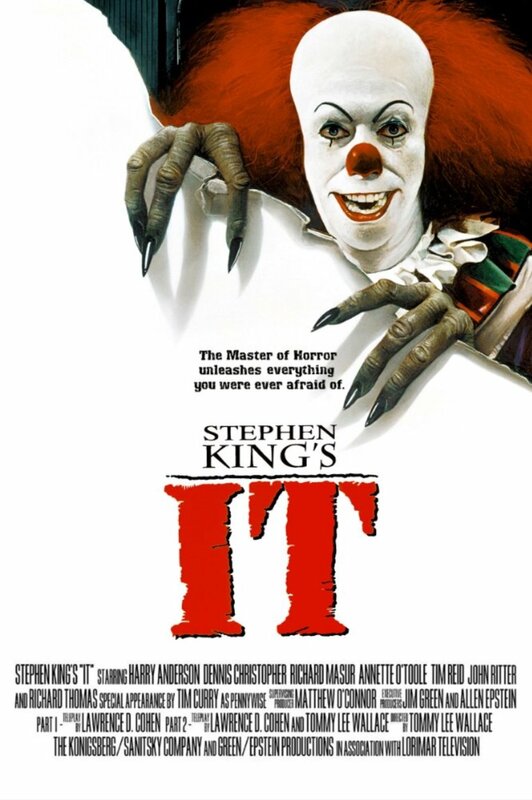 There is a probability that King's creation, Pennywise, helped further the general population's fear of clowns, with the aforementioned TV movie being an often cited cause. The things that happen to us as children can stay with us forever. On the road to adulthood, we hopefully try to outgrow these insistent troubles of youth. While the deeper, more painful experiences can become lifelong struggles, we have better luck at least in outgrowing our imagined boogeymen, those who dwell in closets and under beds. In Stephen King's IT, the boogeyman is very real, and is insinuated directly into the very human traumas that the book's protagonists endure. IT - a short title long on mystery - is a fitting alias for the evil sentience at the center of its story. Born of, or akin to, the very element of fear, "IT" is any and all monsters - a meta monster. Though often seen or thought of as Pennywise The Clown, it has many aspects. Taking the shape of whatever scares you most, it preys primarily, but not exclusively, on children, whose internal fantasy worlds are the most fertile and exploitable. Being that many of the victims described in the book are children of the 1950's, it often takes the form of the B movie monsters of the day. Punctuated by King's vivid, visceral descriptions, they are re envisioned as frighteningly tangible representations of their black and white counterparts, breathing and lethal. 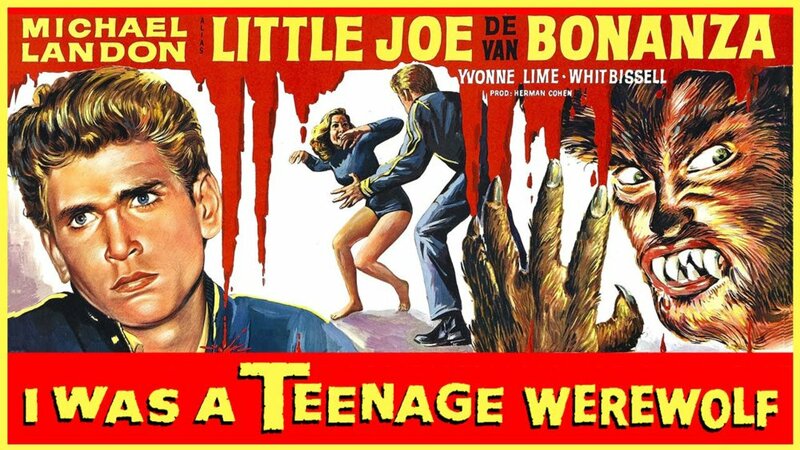 A fully realized incarnation of the lycanthrope from I Was A Teenage Werewolf (1957), with "greenish - yellow eyes" and dripping muzzle, is a personal favorite of mine. But King cleverly turns the imposing conceit of a shape shifting, transcendental monster into its weakness: If the beast is beyond the physical, drawing power from feelings or psychological states, then it is vulnerable to attacks from similar energies. The various emotional and psychological hardships endured by the book's heroes emerge as an advantage in their battle with IT. In addition to being hounded by homicidal and sociopathic bullies, they face racism, emotional neglect, and a spectrum of unhealthy and abusive parenting. Frequently, these awful events are exacerbated by IT, ever nearby when depravity is at hand. Elaborated by King's unflinching attention to, and understanding of, the inner workings of evil, all of this can be harrowing and disturbing. But these shared struggles help bring the "Losers Club" together, and give them the fortitude needed to fight. They have faced darkness alone on prior occasions, and come to rely on each other for emotional support not just in life, but as brothers - in - arms against a threat of incomprehensible scope. If the beast is fear, then to conquer it, they must have the will to face fear. As one, they can be outpace their own frailties, and become a psychic force capable of destroying their common enemy. 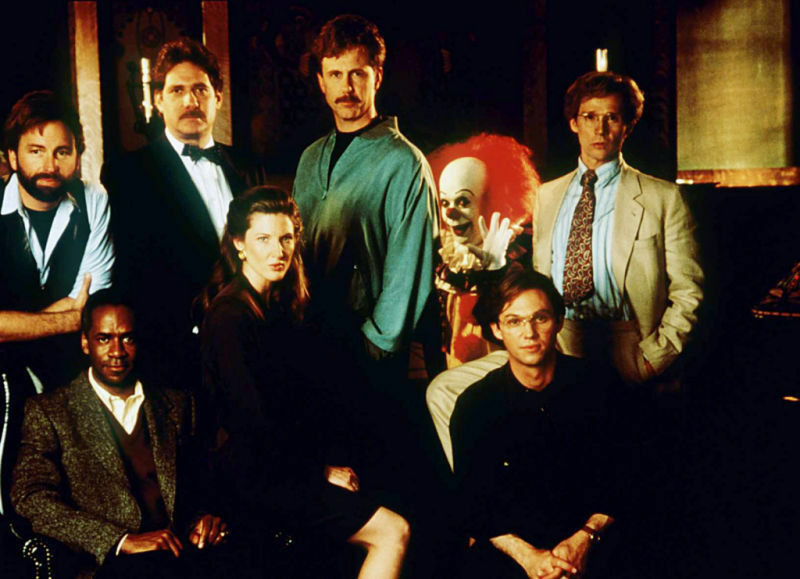 Stephen King has an awe inspiring talent for building rounded, believable characters. Combining that here with his penchant for juvenilia results in an unforgettable ensemble of protagonists that feels truly alive. They contain equal parts universal archetype and realistic, idiosyncratic grit - they ring true in the micro and the macro. He captures with remarkable fidelity the way that kids joke, interact, imagine and play. He grasps the way that they uniquely process the complex emotions and tragedies of the adult world, which they are so often forced to confront in the story. The reader can't help but empathize with and relate to them, to feel a connection with them that is surprisingly potent. These are the kids we knew in our own childhoods. Maybe they are the kids we were. When the "Losers" return to their hometown as adults to finish off the monster, they become figuratively and literally re submerged into their own childhoods. Old gestures and habits reappear, and old feelings are resurrected. The coming - of - age landmarks featured in the story are presented as weightier, overtly metaphysical incarnations of the real thing. Our significant experiences in life may seem to hold a kind of cosmic weight for us, and in IT, King writes them as literally cosmic. This esoteric way of thinking about the deeper truths behind the surface of reality is an evocation of magic. King mentions magic more than once in the course of the book, and the characters come to recognize its presence themselves, in time. They are part of, and contributors to, a far greater continuum of existence than they could have known. Stephen King's epic horror novel is over one thousand pages long, and I've now read it twice. After a nearly fifteen year gap between my previous and recent encounters with the book, my impression of it has grown and changed. For one, I actually found it more unsettling the second time around, as I took more notice of its bleak, nihilistic detours (particularly the section about the life of bully Patrick Hockstetter, which may be, at least for myself, the most disturbing piece of the entire book). I was quite struck by the sheer level of detail, illustrative and insightful, on every page - the figurative heft of It matches its physical. But what really touches you are the characters you get to know in the course of the story. Whatever else I forgot in the book from my first reading, Richie, Ben, Eddie, Mike, Bill, Stan, and Bev never really left. This is a book with real emotional power, and is likely to stay with you long after you've put it down. It has certainly stayed with me.